The two Oregon ranchers, Dwight Hammond, 73, and son Steven, 46, whose case has caused militias from across the country to travel to their small town and takeover a federal wildlife building, surrendered themselves to prison in California on Monday. 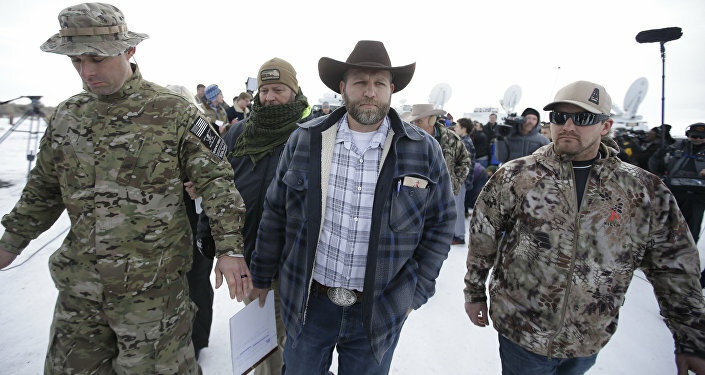 The militiamen who are currently occupying the federal property have stated that they still have no intention of leaving, and will occupy the space “for years,” if necessary, until the land is returned to state and local governments. Three years ago, the Hammonds were convicted for starting fires on federal property and served short prison sentences for the crime. Their sentencing has since been ruled illegal as it did not meet the mandatory minimum and they were ordered back to prison to serve four years each. Attorneys for the Hammonds have stated that they plan to pursue executive clemency. “The Hammonds will continue their legal efforts to renew their grazing permits. They will also pursue Executive Clemency. We hope that President Obama will agree with us and with the veteran judge who presided over the trial that the mandatory five-year minimum sentence is far too long for these ranchers,” their statement released on Monday morning read.